Earlier this month, Hondurans found out through a statement by Salvadoran President Fúnes, that their president, Porfirio (Pepe) Lobo, had signed an agreement with US Secretary of State Hillary Clinton in Guatemala to allow former President Manuel Zelaya to return to Honduras without fear of political persecution. The announcement was unclear as to exactly what that meant. It was confusing because there never was any question that Zelaya could return to Honduras. Additionally, the amnesty agreement forced on Honduras by the US − even though amnesty was specifically excluded from the Tegucigalpa Accord − clearly protects Zelaya from prosecution for 'political' crimes, including acts of terrorism. What was not protected by the amnesty decree was prosecution of common crimes, including corruption. So why did Lobo have to sign yet another agreement with Clinton? When confronted by the media, President Lobo cited the Golden Rule and said that "Zelaya should be accorded the honor and respect due to all former presidents". This seemed to be in direct contrast with Lobo's inauguration day speech in which he said that corruptos, regardless of their position, would go to prison "en punto!" to the cheers of the audience. This recent statement resulted in outrage from many quarters and was quickly followed by clarifying remarks by the Supreme Court, the Attorney General, and the Minister of Security assuring the population that Zelaya must and will face justice for the crimes for which he has been accused. 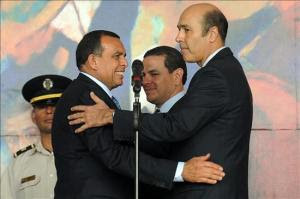 Why would the US be concerned about Mel Zelaya returning to Honduras and not suffering any consequences for his illegal acts, including acts of corruption involving millions of dollars virtually stolen from the mouths of the poor? The simple answer is that to expose Zelaya would make the US and Obama policy look bad. How is it possible that the tiny poverty-stricken country of Honduras could stand up to the mega-power United States of America? How is the US going to 'handle' Iran or North Korea or Israel if they can't even handle Honduras? Is what John McCain said true? ".... our friends don't trust us and our enemies don't fear us because both doubt our staying power, our determination, and our resolve." Honduras must be brought back into line to save face! Do you believe that the US is showing us that it is an untrustworthy allied country? If Zelaya is exposed, those who supported US policy on Honduras might have to take a closer look: Was Honduras really fighting to save democracy after all? Was the US on the wrong side? How would it look if it was proven in court that former president Zelaya and his pals have foreign bank accounts with large unexplained deposits. We all know that the US has information on all of our bank accounts. Why haven't they provided that information to the Honduran government to help them combat corruption? Why haven't they answered the Congress' question asking for assurance that the US has no knowledge about Zelaya's ties with narcotrafficking? And how do you reconcile that support for corrupt Zelaya, while at the same time the US extradites a former Guatemalan president for money laundering? 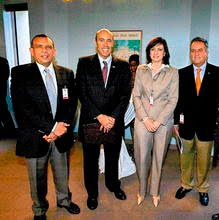 I only half-jokingly called US Ambassador Llorens the prime minister of Honduras back in February. But it's not just the pro-government, pro-sovereignty folks who complain. 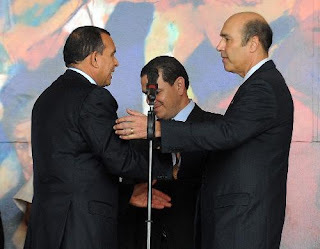 Even Carlos H. Reyes, former presidential candidate, Zelaya supporter, and Resistance leader, has complained, "We are seeing the U.S. ambassador directing the actions of ministers, military and the president himself, and intervening in the internal affairs of the country". 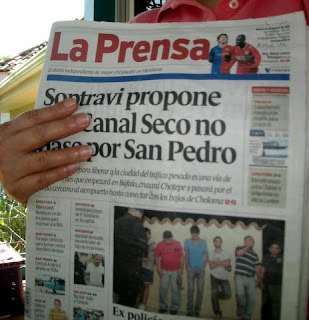 El Libertador, a pro-Castro/Chávez Honduran newspaper, reported in an editorial, "Just as John Negroponte did in the 1980s, Hugo Llorens governs from La Paz avenue, politicking, making decisions, giving orders and conspiring". 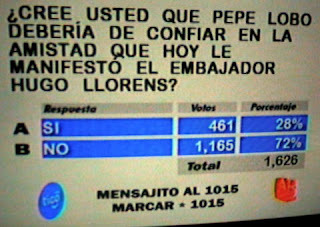 One report even stated that Llorens maintains a desk in the presidential palace from which he issues orders. 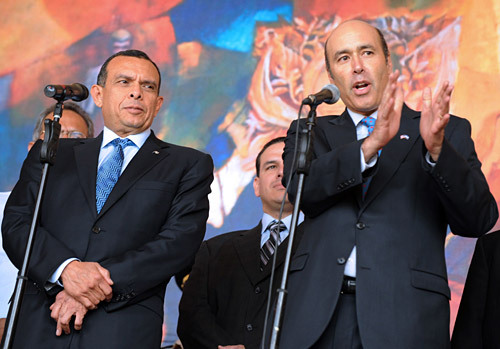 US Ambassador Llorens actions are alienating both sides in Honduras. But in the big scheme of US relations, long-time dependent ally Honduras doesn't matter an iota. Though frequently denied by Hugo Llorens and others in the Lobo administration, reports are that the US has been pressuring for removal of the president of the Supreme Court, the Human Rights Commissioner, and the Attorney General. The top general has already been removed − though he was put in charge of Hondutel, the state-run telephone company, in a civilian capacity, a move I strong doubt that the US supported. Far from repairing the US foreign policy image, the US actions have solidified the belief that, in 2010, the US is operating in full colonialist mode, though you would never know that from the US media, the WSJ excluded. As Ms. O'Grady relates in her article, Llorens pressured the Liberal Party to remove Roberto Micheletti as party president − a clear cut case of the US interfering in internal politics of a sovereign country. But the Americans had scores to settle. The U.S had already yanked dozens of visas from officials and the business community as punishment for noncompliance with its pro-Zelaya policy. 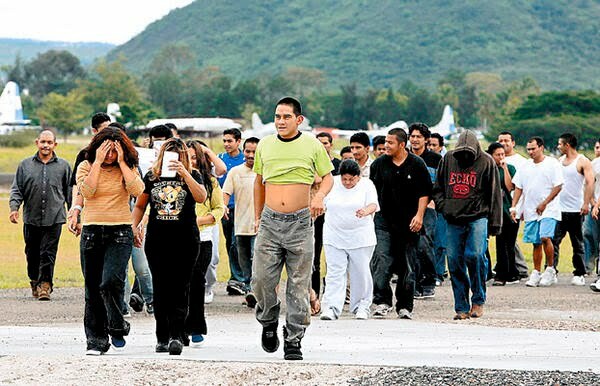 Then, just days before President Porfirio Lobo's inauguration in January, Hondurans estimate it pulled at least 50 more from Micheletti supporters. The visas have not been returned, and locals say Mr. Llorens continues to foster a climate of intimidation with his visa-pulling power. He hasn't stopped there. In early March he organized a meeting of Liberal Party Zelaya supporters and the party's former presidential candidate, Elvin Santos, at the U.S. Embassy. 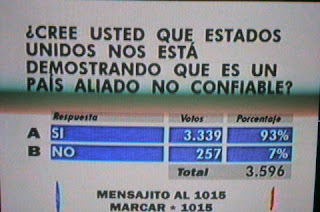 Some 48 hours later the party's zelayistas and its Santos faction voted to remove Mr. Micheletti as party head. 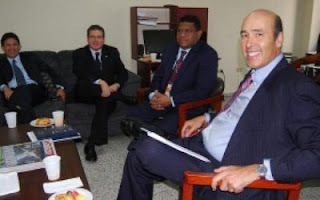 Rigoberto Espinal Irías, a legal adviser to the independent public prosecutor's office, complained that the "meeting generated much bad feeling in Honduran civil society" because it was "perceived to have the purpose of intervening in Honduran national politics." It's hard to imagine what the U.S. thinks it achieves with a policy that divides Hondurans while strengthening the hand of a chavista. Revenge and power come to mind. Whatever it is, it can't be good for U.S. national security interests. I concur that misguided US actions in Honduras are working to divide the country. 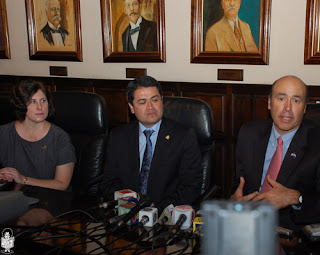 US actions over almost a year now have also served to embolden the radical factor in Honduras rather than to unite the country, just as Llorens' statements and actions (including a commercial for the cuarta urna!) before June 28 emboldened Zelaya to violate the law and the constitution. I also believe that US actions are undermining support for President Lobo. He can't make everyone happy, and it appears that for the time being, his priority is making the US happy over the people of Honduras. Hondurans are expressing much disappointment that President Lobo has bowed to US demands. The US continues to hold out the carrot of aid funds. First it depended upon the signing of the San Jose-Tegucigalpa Accord, then it depended upon a free election, then "more work" was needed, then it depended upon the new president taking office, then even "more work" was needed to reconcile the country. It's really beginning to appear that only full-fledged groveling to the power of the US will satisfy the requirements, and that appears to include allowing the US to determine who will lead each of the various organizations of the government as well as the political parties. Just because the US announces that aid has been restored doesn't mean that the funds are actually flowing. While I wholeheartedly, 100% agree that more control is needed to protect aid funds from corruption, I don't agree that that control should include micromanaging the recipient country's internal government and political affairs. Like many misinformed and well-indoctrinated Americans, I never understood why the US was so unpopular around the world, especially since the US was so generous with financial aid. Now, as a US citizen living in one of those recipient countries, I, along with many Americans here, understand completely the feeling of helplessness and frustration against 'the big stick' that comes along with every 'carrot'. The big bully Uncle Sam thinks he knows what is best for everyone, when Tio Sam clearly can't even solve the problems and heated divisions in his own country. The Kentucky State Journal has a sad but not really uncommon story of a 19-year-old deportee currently being 'detained' (that ominous word that the media likes to use in an accusatory manner against Honduras) in the United States of America. At 19 years old, Julio Martínez will arrive homeless in Honduras, with no family to support him or help him to adjust to the new culture. He'll probably have no ability to get a job and may not even be able to get the paperwork needed to apply for a job. His accent will identify him as a 'foreigner' subject to discrimination and his deportation status will make him suspect to any potential employers. His education and job experience in the US will likely be disregarded. Julio's crime: allowing his mother to illegally bring him to the US when he was 7 years old. They were caught by immigration in Texas shortly after their arrival to the US, but under a 'catch and release' program, his mother fled with Julio and his sister. When they failed to appear at the immigration hearing two years later, Julio became a fugitive from justice at 9 years old. Julio is a typical American kid, a church-going, soccer-playing high school graduate who was working to pay for his college education. According to ICE, he has no other criminal history, but is not entitled to a hearing because of the final order of deportation issued when he was 9. Hey, I'm a law-and-order advocate. I believe that everyone should respect the immigration laws of any country − and that includes US Americans coming to Honduras. But holding 7-year-olds responsible for the crimes of their parents is just a little crazy in my mind. If a bank robber takes his 7-year-old on a heist, can that boy be later charged with bank robbery when he is 19? I don't think so! Can any of you imagine what would happen to your 19-year-old child if he was shipped to another country where he didn't know the culture, maybe not even the language, with absolutely no support system in place? A country where there is 30% unemployment, no unemployment insurance, no homeless shelters, no reintegration programs. Can't the immigration laws be amended to give the same protections to innocent foreign children that US children receive? 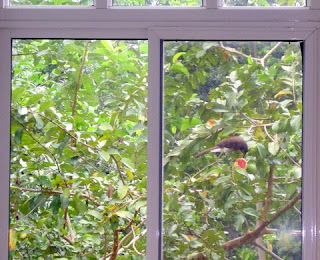 I walked into the kitchen yesterday and something bright pink outside the window caught my eye. I looked up and my first thought was, "Why am I seeing the inside of the guava instead of the outside?" Then I saw the bird. This is one of many brown jays (thanks to Daniel of Hondubirding for identifying it for me), toucans, squirrels, and other birds that avail themselves of our guavas. I'm happy to feed the wildlife. I just wish they would finish what they start. Those half-eaten guavas laying on the ground really stink! I'll leave this tree for the animals. I don't think I can win the fruit fly battle. My neighbor, who was the one who gave me the tree, used to bag his developing fruit to keep out the fruit flies. I'm not sure if he still does that now that his tree must be huge. For those who don't know, we don't use chemicals in our garden. Under my philosophy, generally I would just get rid of this tree as being unsuitable for an organic garden in this area, but since it is such a boon to the wildlife, I guess we'll keep it. 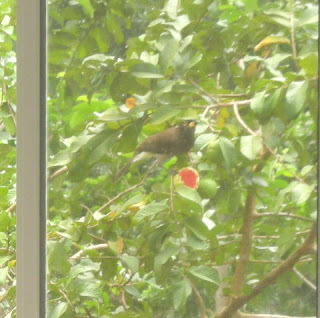 Here is a video of the greedy brown jay filling himself with guava. Enjoy! That guava looks mighty tasty. I hope the translator in the sidebar is of use to some readers. I know that these computer translators sometimes mangle translations terribly but other times they can be helpful. I use the Google toolbar translator sometimes, especially when I'm tired or in a hurry. I can read Spanish, but at times I'm just lazy. I usually have to switch back and forth though (easy as clicking one button with the Google toolbar) to check the Spanish when parts of it don't make sense. Google does have a bad habit of leaving out important words like 'no' and 'not' so you have to be careful. Ulf Erlingsson writes some articles in Swedish and Google works amazingly well on that − hardly ever a word out of place. I've also used it for Portuguese and a couple of other languages, too. The quality of the original writing has a lot to do with how well it is translated. 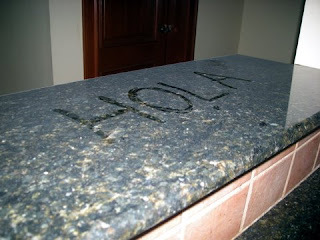 For example, many of the reader comments on Spanish-language newspaper articles are almost indecipherable because of the poor spelling and lack of punctuation. And before anyone gets in a huff, I'm sure the same could be said for comments on English-language newspapers, too. But I ran across a new translator today that made me realize that I might be leaving some of my readers out. 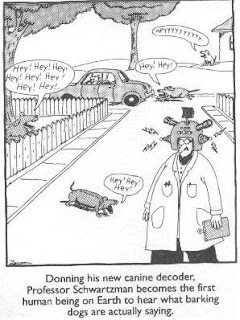 The Blogicito has a large Canadian readership so I thought that you might enjoy using the Crapola Translator. Try it out and see what you think. It also offers Boston and Valley Girl accents, among several others. Save the best for last. Try the Ali G translation. 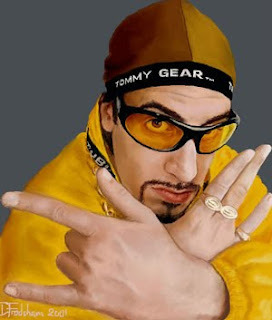 If you aren't familiar, Ali G is a British gansta wannabee character who hosts a talk show with some very important and serious (real) guests. I've only caught the show a couple of times but found it to be very funny. I laughed and laughed to read prim and proper La Gringa translated to gansta talk! I think you will, too. No, I haven't been kidnapped. I'm still alive. I'm fine. El Jefe is fine. 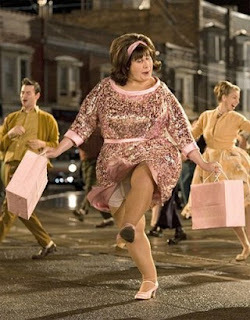 I've just been completely engrossed in other things. I'm kind of a monomaniac. I immerse myself completely in whatever I do to the exclusion of everything else, but you probably knew that already, didn't you? To tell the truth, I'm really burned out on the political crisis (which continues in full force) and the news has been depressing lately − lots of problems, conflict, and violence, and reports of foreigners (Nicaraguan, Cuban, and, yes, US American) interfering to rile up groups and to train them in the tactics that get attention from the "international community". There are serious efforts being made to destabilize the country. 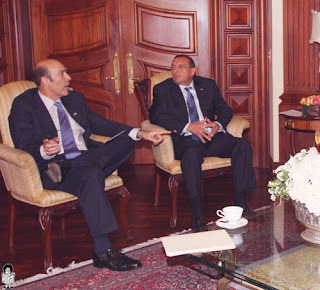 US Ambassador Hugo Llorens continues to sit at the head of the table, but seems a bit defensive and uncomfortable in the news conferences lately. Maybe it is clear to him (finally) that he has worn out his welcome. I'm trying to revamp the Blogicito somewhat and trying to figure out how to code what I want to do requires my full attention. I'm making progress slowly but surely. The topic that I know you all are interested in the most is Pancho. I'm very happy to tell you that he's doing GREAT! 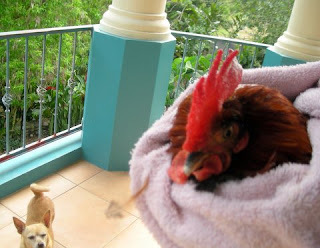 Nothing like having a rooster in your closet or on the terraza outside your bedroom to get you up early! 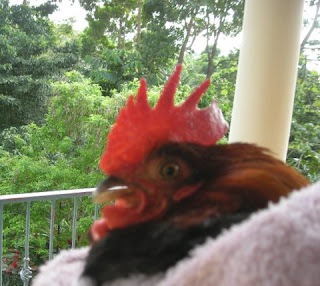 Every morning he and the teenage roosters would have a crowing duel that went on and on and on. I guess Pancho wanted to let them know that he's still The Man! The floor has been repaired, the dust has been cleaned and cleaned and cleaned and the furniture has been replaced again. At last! I'll tell you more about what we did to the loose tiles another time − so far, so good. Now we have two more areas to work on....mañana. If you look closely to the right of that taller post, you can see a worker on top of the 40 foot trunk chopping it up by hand with an axe (I think − but maybe it is a machete, which would be more typical). I hold my breath every time they start chopping. One of the falling 40 foot (12 m.) trees came pretty close to our muro, not to mention the power lines. As a point of interest, these guys have an interesting work schedule. They come around 7 a.m. every morning, chop down one or two trees, and then leave around 9 or 10 a.m.
You may notice the flower bed covered with fresh mulch. We've had Carlos (a former worker from our construction days) and another guy here doing some major garden clean up. Carlos cleaned up that area a little more than I wanted − and I thought I explained it so well! The garden looks so fresh and neat with new mulch. 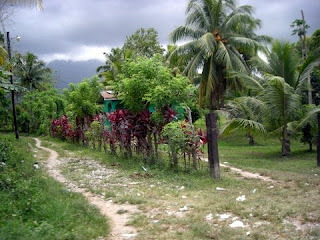 Now that we are entering the dry season, the mulch will help to keep the soil moist and cooler. And in case you were going to ask: No, Honduran birds do not like my Purple Martin house. Once a dove made a nest on the 'porch' outside but that's about it. This is more than I intended to write − time to get back to CSS and HTML and PNG images. Ugh! If this doesn't tide you over the weekend, check out some of those older articles and let me know what you found. A terrible thing happened last Wednesday. We didn't find out until Thursday afternoon. 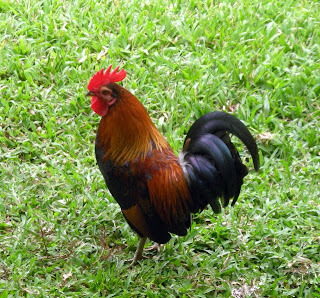 I was feeding the chickens chopped up boiled egg (their favorite) and I noticed that Pancho, our main rooster wasn't with the hens. I panicked because he's always with at least one of the hens and they were all there. He's a gentleman and will stand guard while they eat. If I throw him some egg, he'll check it out, then cluck for a hen to come and get this treat that he has for her. If a hen doesn't come, he'll pick it up in his beak, toss it down, and cluck some more until he attracts one of the hens. We had some workers coming in and out of the gate spreading mulch and I was afraid that he had wandered out and had been stolen or run over by a car. We searched the yard, and El Jefe finally found him. He called me and gave me the sad look, saying, "Pancho is dead". "Oh, no! Did he get run over? ", I asked. "No, he's over there," pointing to an area near the front porch. I went toward him and just then Chloe the Rottweiler came running over to sniff Pancho. Pancho squawked and weakly flapped his wings. "He's not dead!" I screamed. I ran over to get him. He was soaking wet and cold and his eyes were rolling back into his head. It had been very cold the day and night before and we had 3.5 inches of rain (9 cm.). Not only did we have that much rain, but he was in a spot where roofs on three sides poor rain into that area. He was probably floating in cold water at least part of the time. I found that his ankle had gotten tangled up in some roots. The worst part is that he apparently tried to chew his foot off to free himself. Chickens have three long toes facing front and a small one facing back. He had chewed off the small back toe and the other three were were bleeding badly. We could see the bone and tendons on the bottom of his foot. Two of his front toes appear to be broken or maybe just inoperable because he had chewed the tendons or nerves or something. We felt so badly that we hadn't found him sooner. I can't imagine why he or the hens wouldn't have squawked to alert us, but maybe they were afraid to attract the dogs. I felt so guilty that I hadn't noticed him missing. I took Pancho inside and washed him up with some warm water, then blow dried him and wrapped him in a towel to try to warm him up. I slathered an antibiotic ointment all over his foot and loosely bandaged it. I didn't know what else to do. 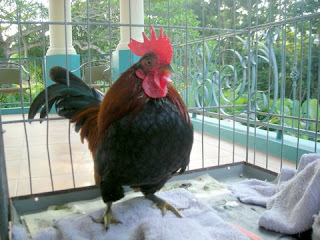 In this photo, you can see how pale his comb and wattles are. The first few days, I really didn't think that he was going to make it. He was so weak and wouldn't eat at all for the first day. I started feeding him yogurt (which is another chicken favorite) thinking that would at least get some liquid and some protein in him. He wouldn't eat much. This photo is from Saturday. His foot it covered with cream. Gradually he has improved somewhat and is even doing a weak crow reply a couple of times a day when he hears the teenage roosters crow outside. I roll a towel around and under his chest to keep him propped up a little. He can't stand and it isn't looking like his injured foot is going to be functional, though it is healing and there is no infection. He's living in a big box in a closet and I feed him several times a day. He does occasionally help himself to the yogurt and cracked corn and scoot around the box on his chest a little. I can tell when he eats because it leaves a dried 'Got Milk?' residue on his beak. When he eats the corn, he ends up with a corn crust stuck to the yogurt on his beak. Here is a video of his pitiful crowing. But now I don't know what to do! I'm wondering if trying to save him was the right thing to do? If he won't be able to walk, there is no way that he can survive. It's not the first time I've done something like this. 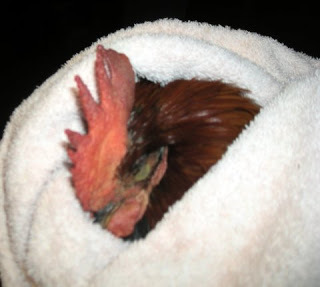 I once kept a blind chicken in a box in the studio for seven months, at night anyway. 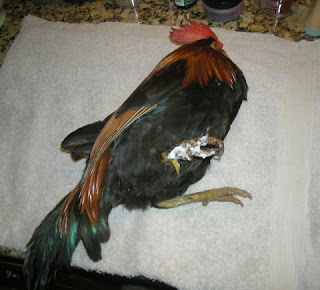 Update: Pancho the Rooster recovered fully! 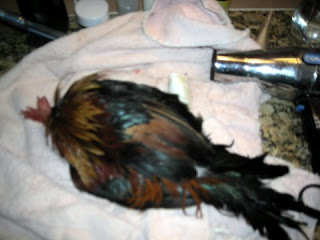 He limped for a long time but now walks and runs completely normally and is back to ruling the roost. Would you buy a dress without trying it on? Most women would not buy a dress without seeing it, touching it, trying it on unless there was no other choice, and − this is a big one − unless there was a pretty good guarantee that they could get their money back if it didn't fit. For sure most men would never buy a car without first taking it for a test drive and kicking the tires. Lots of people won't even commit to buying a new flavor ice cream unless they can taste it first to make sure that they like it! Why, why, why, then will so many people quit their job, 'sell the farm', pack up and move to a foreign country without trying it out first? 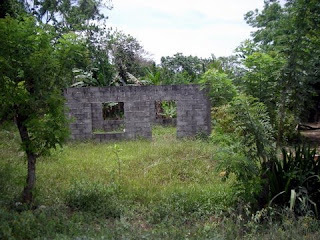 Or even worse, buy a property in a foreign country without ever seeing it or after only a week-long visit to the country, listening to promises about how all the locals are so nice and there will be water, electricity, security, roads, .... some day. "As soon as enough lots are sold...." Hah! The truth is, for both foreign and local investors, that day doesn't always come. The money is spent and the contractor or the developer, and maybe the nice attorney to whom he probably introduced you to handle your purchase, have both moved on to fresh territory. The Honduran courts rarely help foreigners to get their money back from a fraudulent deal and that probably is true for most Central American countries as well as Mexico. Some people say that they can't afford an exploratory trip here or their work schedule won't allow them to stay for an extended time. What?! You can't afford not to. The money that a trip would cost is cheap insurance. Those who quit their job, 'sold the farm', and moved only to find out after a few months or a couple of years that the life in a third-world country is not for them are the ones who are really suffering needless expenses. While there are no real statistics on this, it is often estimated that 50% of expatriates do not stay past a year or two. The adjustment is just too much. What is the hurry? Is it because the real estate agent said that the lots won't last long, the prices are going up, or he has another interested buyer? Uh-huh. I thought so. It's not cheap to move your belongings abroad and even worse to move them back. Money spent applying for residency is down the drain. You could be stuck trying to sell a property in a foreign country for months or years while meanwhile trying to figure out how and where you will live in another country since you no longer have a liquid nest egg. I suppose that at least part of the answer to my question is that many think of moving to a foreign country as a great adventure. I was guilty of that myself. It was an adventure all right, just not always exactly in the romantic way I had in mind. I had been to Honduras, but as a tourist, and believe me, from the minute I stepped off the plane as a potential immigrant with my Honduran spouse, everything was vastly different than when visiting as a tourist. Even the climate felt different! As a tourist, I stayed in air-conditioned rooms cleaned by maids, laid around the beach or pool, was served my meals in breezy champas on the beach. I wasn't cleaning house, gardening, cooking, or living in a tiny airless apartment when I was on vacation. Of course, it isn't the same! Things that are quaint and make you feel like a pioneer on vacation can get old when you have to deal with them daily. "Oh, my! The water went out for 20 minutes yesterday just when I wanted to take a shower! ", said a tourist. 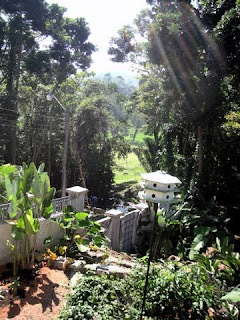 − Try not having running water for 23 days! Get to know the area you are considering. Some locations in Honduras have most of the things you could want. Others, not so much. Maybe an hour drive down a dirt road once a week to buy groceries sounds like fun. 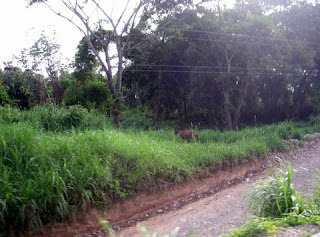 What will you do when rainy season or a hurricane or earthquake washes the road and bridge out and you can't get there? That quaint little colonial town may seem an ideal place to live....that is until you need an auto part, a tool, or some ingredients for your favorite meal and the only place you can get it requires a day-long trip. What if you have health problems or have an accident? Believe it or not, there are many places where no doctor or hospital is available, or at least not one that you would want to go to. Driving a few hours once or twice a year to visit a good doctor in the big city doesn't sound so bad. But what if you are injured or too sick to make that drive? Do you have school-age children? Younger children may adjust very well, but some children may be very unhappy. Education is a huge issue. 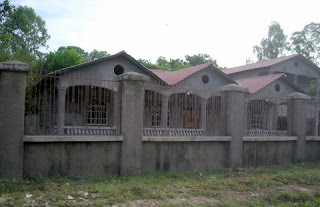 You probably will not want to send your children to a Honduran public school and good private schools are hard or impossible to find in some areas. 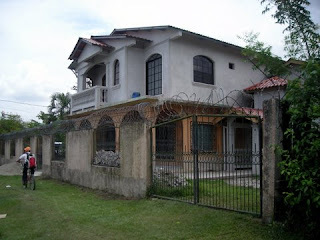 Now in 2010, there is a whole lot more information about Honduras, immigration, and the expatriate life on the internet than there was when I came in 2001. I think that reading blogs of other expatriates in other countries is one of the best ways to find out what daily life is really like. Honestly consider the negatives as well as the positives. It's the people who can't bear to read a negative word about Honduras who I think will have the hardest time in the long run − or more accurately, in a very short time. You have to be realistic. Just remember, though, that people who didn't make it in their new country will rarely be blogging about it, nor will you likely find them talking about their experiences in internet discussion groups. Those could be the most enlightening stories of all, but you probably won't read about them. It's just human nature that people don't want to admit to bad decisions. While reading everything you can about these topics is a very good first step, there is no substitute for trying it out yourself personally. No one else can know how or whether you and your family will adjust to life here. No, it's not hell on earth. I'm not trying to say that! But it is different and everyone has different expectations and different tolerance levels for change. The way to find out if your expectations can be met is come for a long stay. I recommend six months. 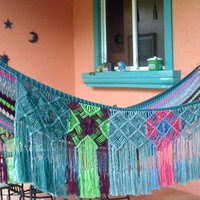 Rent a house, buy your groceries, cook your own food, meet the locals, experience the real life in Honduras. By now, if you are in the exploratory mode, you might be saying, "Oh, she's so negative! I know that we're going to love it. It's paradise compared to where I am." You are probably also saying, "...and it's so cheap to live there, too!" How cheap it is, is a whole other topic, but let me just say that while many expatriates think they will be content to live like a local resident, they probably won't. They will probably want a house just a little bigger and better appointed. They will probably want a kitchen with more than 18 inches of counter space. They will want to be in a safer area. They will want internet service, a good sized TV, cable service, and their own car. They may want to travel and go out to eat a little more often. They may want to splurge every now and then on those expensive imported items that they miss from home. They will probably not want a wood burning stove or to wash their clothes on a scrub board. After all, who wants to move to another country in order to live like a pauper?! Maybe you and each of your family members will be among the lucky ones who do love living in Honduras or another foreign country. Maybe you'll even find the perfect dream house on the internet being sold by an honest person. But why risk it when it is possible to take that country for a test drive first?